Have you ever ended up paying a heavy bill at a club while you are partying with your friends and family because you almost forgot to put a tap on what you are ordering? Or Do you find it frustrating to wait for someone to attend your table or serve you at the club/restaurant? Well, we have a solution for all this. 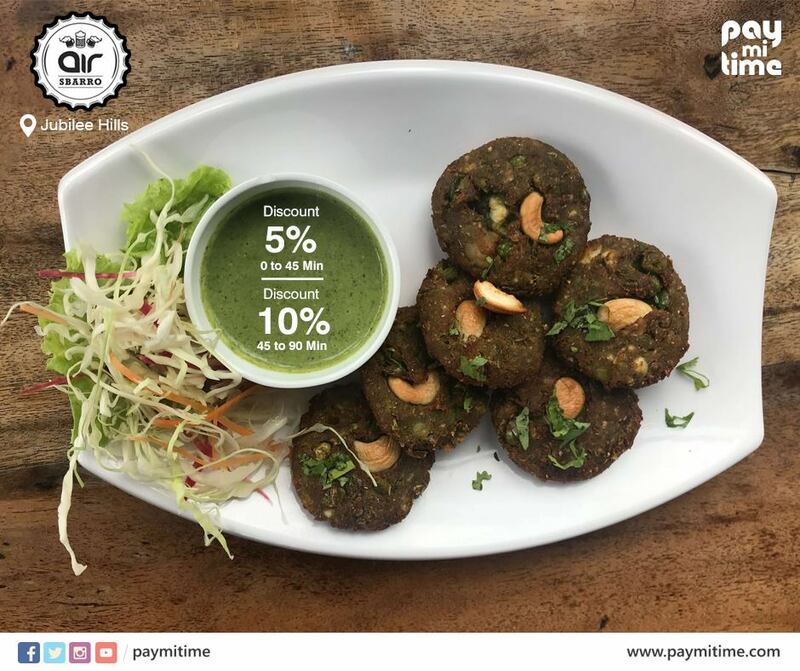 Introducing paymitime an exclusive dining app with a global notion Value for Time, A first platform to embed digital waiter service along with a lifetime discount on Food & Drinks across the app. Yes you read it right “LIFETIME” Discount Undeviatingly download the app from IOS or ANDROID store and get an entire menu card of each location along with the instant discount it has to offer. Visit any best restaurants in hyderabad/club/lounge of your choice and place the order directly from the app and mention the table number for the order to be served directly. 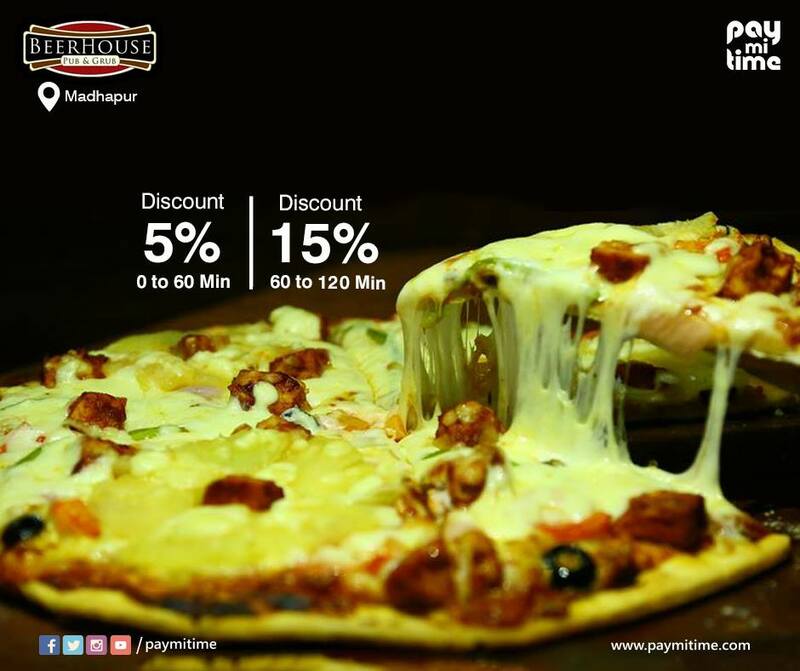 Not to forget the discount is purely calculated based on the time from the moment you place the order to the point you close the bill and proceed to make payment. Located at the hub of the city this premium lounge also has a rooftop view and sitting area where you could groove into the music and experience the dazzling night view experience, The menu starts at 99 INR at happy hours which is a worth every buck and you could always rely on the paymitime app to place the order if you visit the place post happy hours for some great saving . Movie Lounge ( Madhapur, Hyderabad) Here is another rooftop experience to chill out with the cool breeze flowing through your hairs as you groove into some great music played. Yet remember the place is too small yet a decent and it’s a bang to the price it has to offer while you use the app. It’s a pretty old place giving you a great lake view from the outdoor seating with an added bonus of its happy hours, Spoiler alert the drinks menu is limited, so do not expect a wide range to choose from however they have some decent food menu with great taste. Gravity Restaurant & Bar (KPHP, Hyderabad) It’s a normal bar & restaurant with a decent ambiance around with its rich menu offering along with the great choice of food menu with its closed atmosphere with low lit lights and average place for a regular chill out with a good seating capacity. My Place – Riders sports Bar (LB NAGAR, Hyderabad) It’s well-crafted ambiance and lighting could easily mesmerize you as this is one of the best places to opt if you stay a little far away from the city like L.B Nagar as the locality does not offer you much of a choice when choosing a place like a lounge to go grab some drinks around do check it around as the additional discount with the usage off this app is an added advantage. Brundavan Pride Bar & Restaurant (Dilsuknagar, Hyderabad) A basic bar and restaurant with a good service and menu offering the place remain decent for what it has to offer if you are at dilsukh-nagar. N Dulge – Rooftop & Club (Madhapur, Hyderabad) Located by a prime city spot this place has its club and a great rooftop view and easily the first choice if you a tight on budget and yet want to have some great clubbing experience. The price is way too low for what it has to offer. Swapna Sky Box (Attapur, Hyderabad) One place to choose from if you are at Atthapur the place gathers a huge crowd round the clock with its aggressive pricing and the prompt service response. Definitely go check out this place if you are sports lover and want cheer up with a great environment.